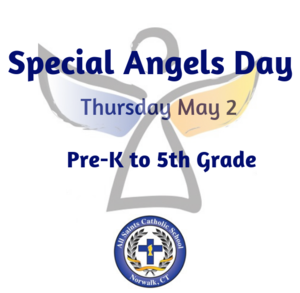 Join us for Special Angels Day (formerly known as Grandparents Day) on Thursday May 2, 2018. Angel day is for grades Pre-K-5 only and their special guests (this can be grandparents, aunts, uncles, friends or parents). Limit is 4 Angels per student. May 2 is an early dismissal day, school is dismissed at 11:45. Our day begins with breakfast in the cafeteria at 9:00am, followed by a special presentation in the auditorium at 9:30. 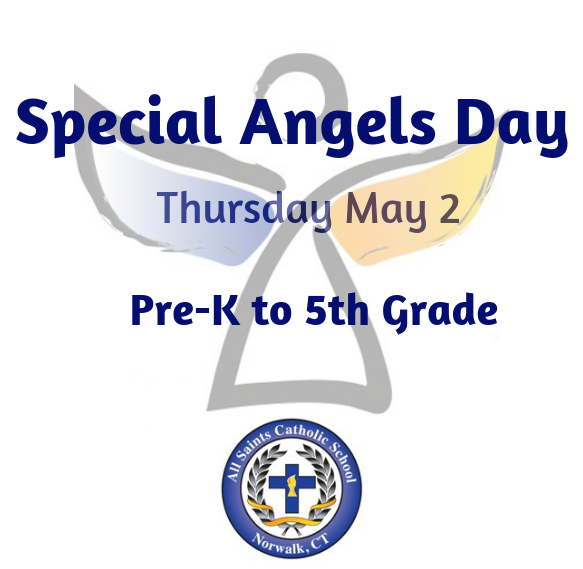 Following the auditorium, special angels will visit the students classrooms from 10:15-11:00am. Pre- Registration is required. Please use this link to register all attendees. Thank you. **Please park in the rear of the school and use the rear cafeteria entrance. Entrance for handicapped will be through the front doors.